Most Americans seem to guzzle way more water than I do, but I’ve still got strong opinions about how it should taste. In cities like New York and Los Angeles, I’ve found municipal water is great right out of the tap. But in Atlanta? 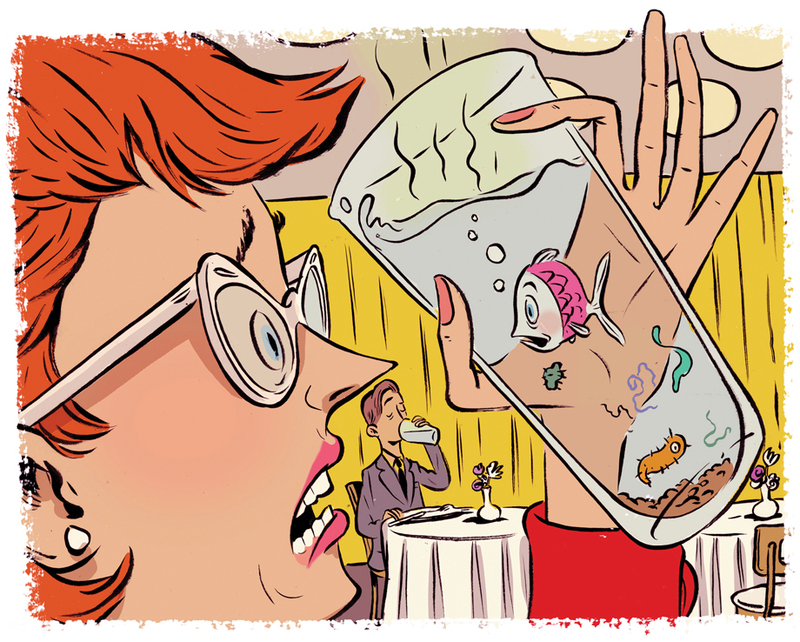 I can’t stand the foul flavor of our water, which restaurants often pour straight over a fistful of ice cubes. By no means am I suggesting the need to import fancy, expensive bottles from obscure corners of the world, but water should at least be filtered (and cold). Keep it simple, like the self-serve purified water system at Taqueria del Sol or the water station at Krog Street Market that offers a choice of still, carbonated, or refrigerated filtered water. At home I filter my water using sticks of charcoal that I buy online from a Korean manufacturer. If I’m drinking bottled water, I have my favorite brands: Evian (so soft), Volvic (so volcanic), and Badoit (wonderfully effervescent). I’m much less partial to Perrier or Pellegrino (the bubbles are too small), but the one brand of bottled water that will never pass my lips is Dasani, which features our own horrid municipal water recycled by Coca-Cola. Porridge—that nutritious mush of boiled grains, seeds, and starchy plants—is an improbably hot dish these days. Jarrett Stieber of Eat Me Speak Me makes a vegan version out of Anson Mills’ Carolina Gold rice, black and purple radishes, piquillo pepper sauce, and benne seeds. At Staplehouse, Ryan Smith serves a whole rutabaga, baked in ash, atop a supple porridge of ground sunflower seeds, Carolina Gold rice, and farro verde. 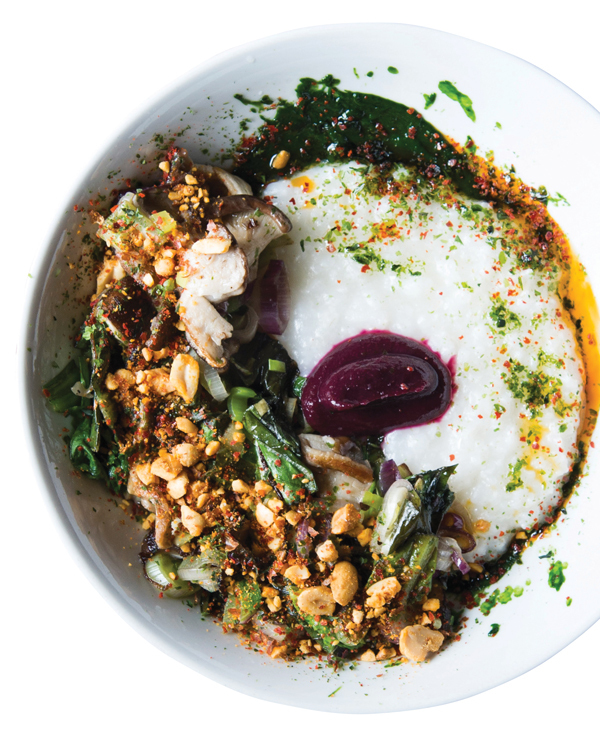 Todd Richards of White Oak Kitchen cooks a milky rice porridge with cheese and roasted vegetables. And Brian Dulisse of Lion Tamer bakes wonderful loaves of oat porridge bread. Know that other cultures have long embraced porridge; consider soft Italian polenta (La Tavola), South African pap (10 Degrees South), Cantonese congee garnished with 100-year-old eggs (Bo Bo Garden), and Pakistani haleem (Luqma). There’s also Korean juk, a rich rice porridge cooked in chicken broth and garnished with kabocha squash, pine nuts, or even abalone, which you can try at Bonjuk near Pleasant Hill Road. Octopus is the new kale and is now unavoidable at restaurants. The city’s best deconstructed whole chicken—soft knee bones, skin, and all—is the free-range bird served yakitori-style at the new Brush Sushi Izakaya in Decatur. Folks in Johns Creek and Alpharetta can now enjoy Venezuelan cuisine at Arepita Cafe on State Bridge Road. Try the fresh arepas (masa corn cakes stuffed with meats and cheese).